A number of concerts, presentations and workshops were given during October and November 2016. We could call it the 2016 Crossadaptive Transatlantic tour, but we won’t. This post gives a brief overview. BRAK/RUG was scheduled for a concert (with a preceding lecture/presentation) at Rockheim, Trondheim on 21. October. Unfortunately, our drummer Siv became ill and could not play. At 5 in the afternoon (concert start at 7) we called Ola Djupvik to ask if he could sit in with us. Ola has experience from playing in a musical setting with live processing and crossadaptive processing, for example the Session 20. 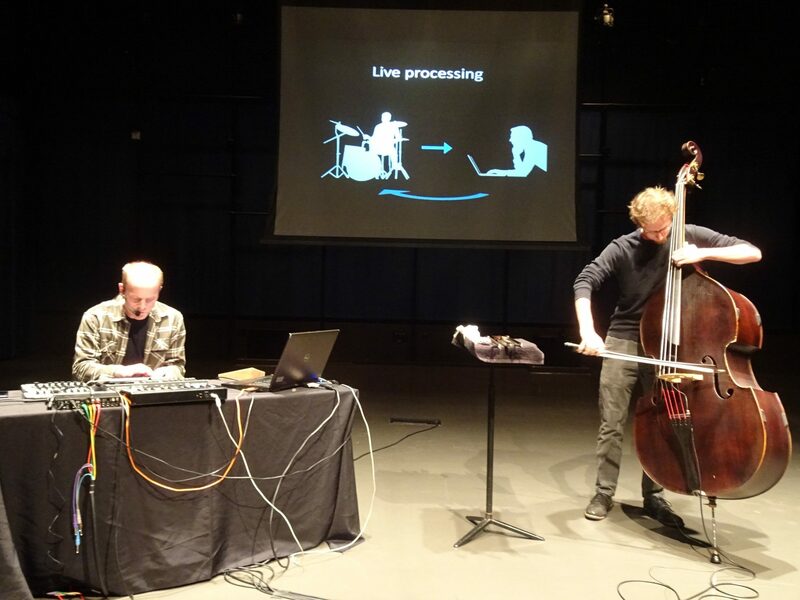 – 21 September, and also from performing with music technology students Ada Mathea Hoel, Øystein Marker and others. We were very happy and grateful for his courage to step in on such short notice. Here’s and excerpt from the presentation that night, showing vocal pitch controlling reverb on the drums (high pitch means smaller reverb size), transient density on the drums controlling delay feedback on the vocals (faster playing means less feedback). There is a significant amount of crossbleed between vocals and drums, so the crossadaptivity is quite flaky. We still have some work to do on source separation to make this work well when playing live with a PA system. The day after the Trondheim concert, we played at the Göteborg Art Sounds festival. Now, Siv was feeling better and was able to play. Very nice venue at Stora Teatern. This show was not recorded. The crossadaptive project was presented at the Transatalantic Forum in Chicago on October 24, in a special session titled “Sensational Design: Space, Media, and the Senses”. Both Sigurd Saue, Trond Engum and myself (Øyvind Brandtsegg) took part in the presentation, showing the many-faceted aspects of our work. Being a team of three people also helped the networking effort that is naturally a part of such a forum. During our stay in Chicago, we also visited the School of the Art Institute of Chicago, meeting Nicolas Collins, Shawn Decker, Lou Mallozzi, and Bob Snyder to start working on exchange programs for both students and faculty. 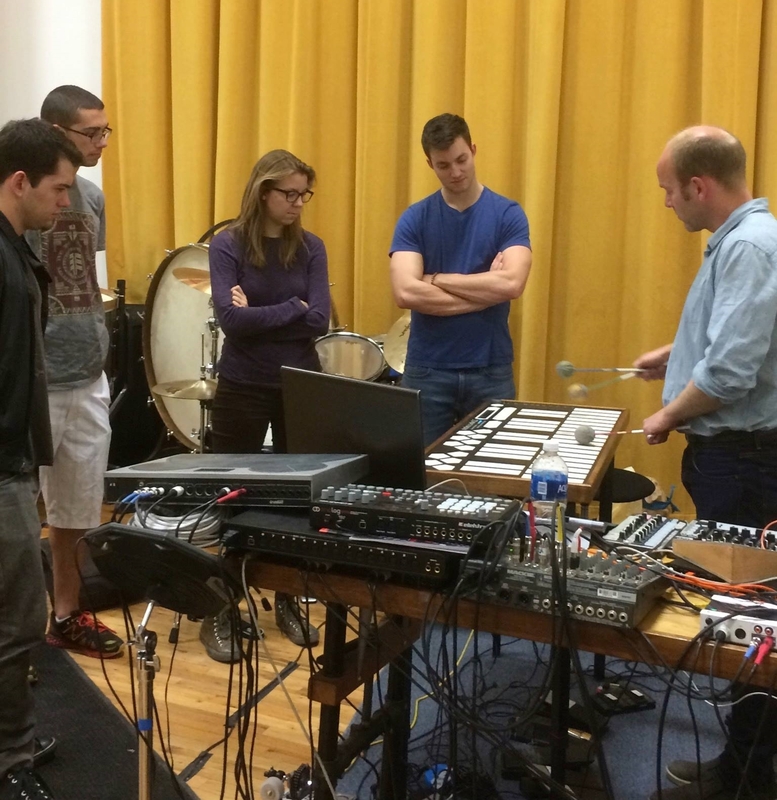 Later in the week, Brandtsegg did a presentation of the crossadaptive project during a SAIC class on audio projects. After Chicago, Engum and Saue went to Trondheim, while I traveled further on to San Francisco, Los Angeles, Santa Barabara, and then finally to San Diego. 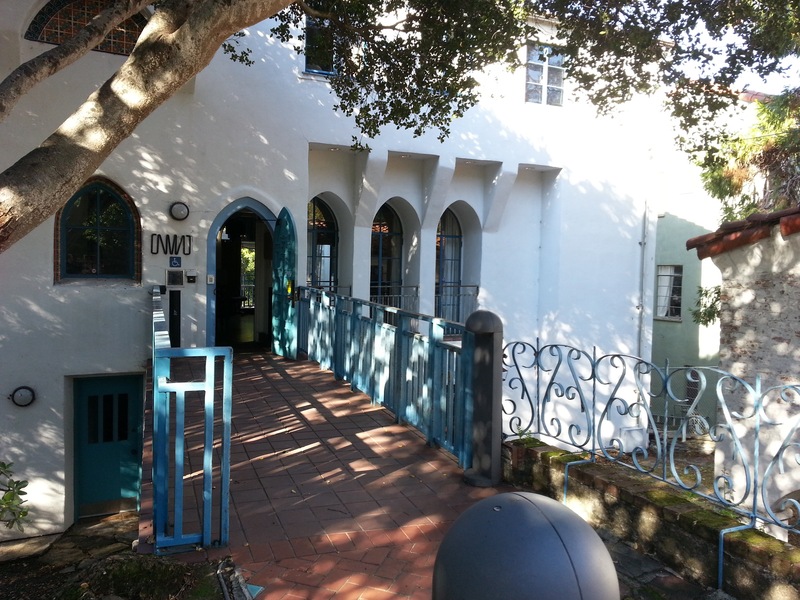 After Stanford, I also did a presentation at the beautiful CNMAT at UC Berkeley, with Ed Campion, Rama Gottfried, a group of enthusiastic students. There I also met colleague P.A. Nilsson from Göteborg, as he was on a residency there. P.A.’s current focus on technology to intervene and structure improvisations is closely related to some of the implications of our project. On November 7 and 8, I did workshops at California Institute of the Arts, invited by Amy Knoles. In addition to presenting the technologies involved, we did practical studies where the students played in processed settings and experienced the musical potential and also the different considerations involved in this kind of performance. At UC Santa Barbara, I did a presentation in Studio Xenakis on November 9. There, I met with Curtis Roads, Andres Cabrera, and a broad range of their colleagues and students. With regards to the listening to crossadaptive performances, Curtis Roads made a precise observation that it is relatively easy to follow if one knows the mappings, but it could be hard to decode the mapping just by listening to the results. In Santa Barbara I also got to meet Owen Campbell, who did a master thesis on crossadaptive and got insight into his research and software solutions. His work on ADEPT was also presented at the AES workshop on intelligent music production at Queen Mary University this September, where Owen also met our student Iver Jordal, presenting his research on artificial intelligence in crossadaptive processing. Back in San Diego, I did a combined presentation and concert for the computer music forum on November 17. I had the pleasure of playing together with Kyle Motl on double bass for this performance. We demonstrated both live processing and crossadaptive processing between voice and bass. There was a rich discussion with the audience. We touched on issues of learning (one by one parameter, or learning a combined and complex parameter set like one would do on an acoustic instrument), etudes, inverted mapping sometimes being more musically intuitive, how this can make a musician pay more attention to each other than to self (frustrating or liberating? ), and tuning of the range and shape of parameter mappings (still seems to be a bit on/off sometimes, with relatively low resolution in the middle range). We also demonstrated another and more direct kind of crossadaptive processing, when doing convolution with live sampled impulse response. Oeyvind manually controlled the IR live sampling of sections from Kylse’s playing, and also triggered the convolver with tapping and scratching on a small wooden box with a piezo microphone. The wooden box source is not heard directly in the recording, but the resulting convolution is. No other processing is done, just the convolution process. 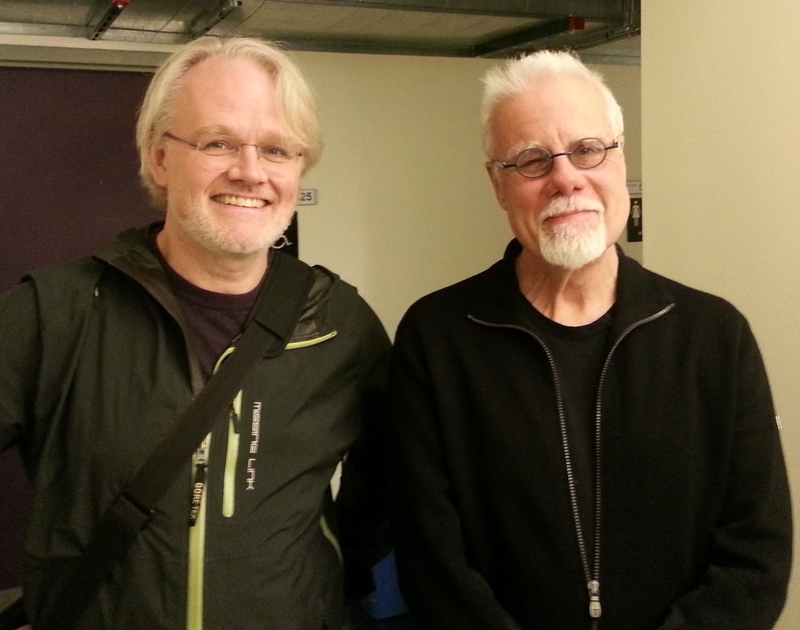 Thanks to UCSD and recording engineers Kevin Dibella and James Forest Reid for recording the Nov 17 event.